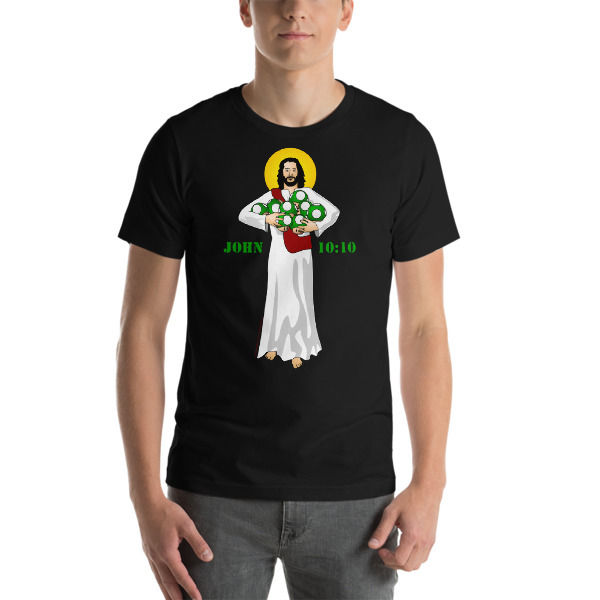 Perfect for the Christian Geek. Jesus came so you could have abundant life (John 10:10). 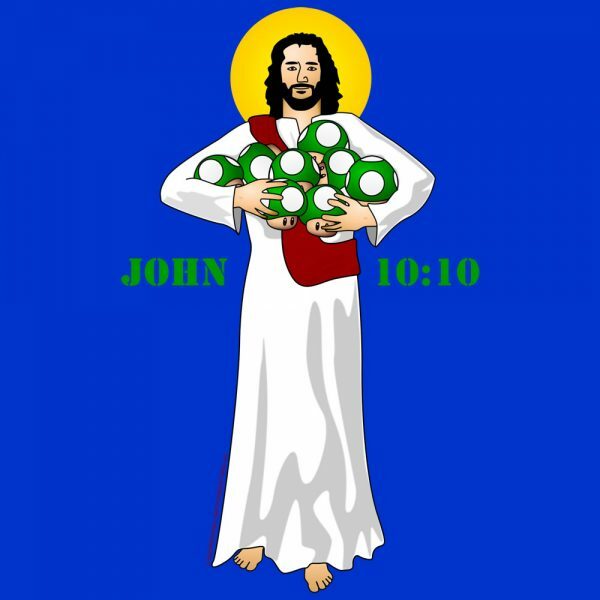 Share that message in a fun way with this depiction of Jesus holding a pile of green “1-up” mushrooms (extra lives) from the most known video game series in the world. All apparel ships directly from the manufacturer, separate from our other products. Extra shipping rates will apply. Our team of real people will fill your order or respond to your customer service request as quickly as possible. Our SSL-Enabled Secure Checkout is only the beginning of our professional security measures. Available in Royal Blue or Black. This t-shirt feels soft and lightweight with the right amount of stretch. It’s comfortable and flattering for both men and women. Note: Mushrooms are original artwork and are legally depicted under “fair use” for purpose of parody. Start some great conversations about the power of the Holy Spirit, and remind yourself that He is with you to be and do everything Jesus intends. The Holy Spirit came like fire and settled on 120 believers who gathered together on the Day of Pentecost, granting them the power Jesus promised they would receive. (See Acts 1:8 and Acts 2:1-4.) 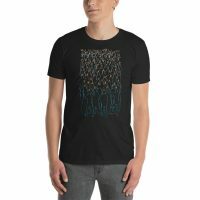 This shirt depicts 119 people with “tongues of fire” on their heads.